Are you considering having a new staff uniform, but you are unsure of what colour you should go for? Does your business have the best use of company brand and uniform colours? For any business or industry, picking a new uniform can be a bit tricky. It is important that you keep in mind how the mind and eye perceive certain colours, and the symbolism that is associated with each colour. How your employees look is important, and we are here to help you choose the best colours. There are certain colours that trigger an emotional response. 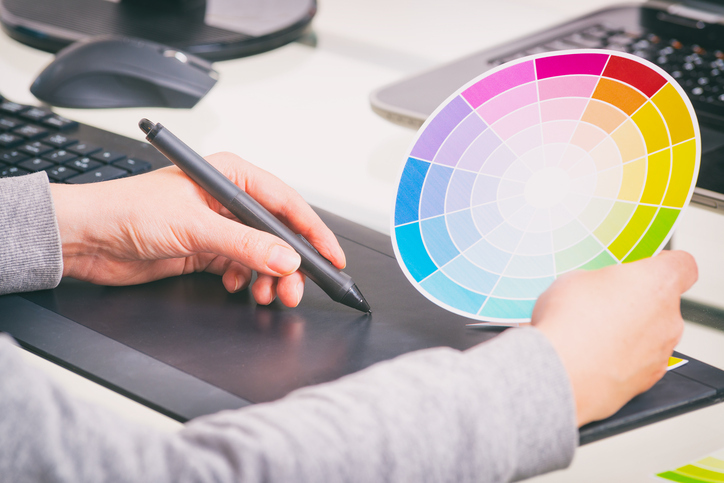 Thus, learning which colours give the best impression to your clients, customers, and visitors can be a major factor in business. Red is known to be a powerful and noticeable colour that easily grabs the attention of anyone. Red, though basic, is a very strong colour. Pure red is one of the simplest colours, with no subtlety. It is also stimulating, lively, friendly, and warm. You might notice that red is often used in flags for different nations, as it is also a symbol of pride and strength. This certain pride and strength can also be reflected in businesses. Red is also often used in retail environments to create a certain sense of urgency. Blue, on the other hand, is known to be an intellectual colour. Research has shown that the colour blue is also the world’s favourite colour. This colod can affect us mentally rather than physically – like how red does. Strong shades of blue can help stimulate clear thoughts while the lighter, soft blues can calm the mind and aid concentration. It has also been advised to use blue if you are suggesting precision when you are promoting high-tech products. For businesses who are promoting a cool approach, blue is a great colour to go for. This colour is known to lift people’s spirits as well as their self-esteem. It is considered to be the colour of optimism and confidence. The colour yellow is warm and friendly, and it works well as a companion to other colours. For instance, you can use bright yellow if you want to create excitement. Yellow is also used to create a sense of warmth and happiness, as well as well-being in a business. Orange is known to be a stimulating and fun colour. It increases oxygen supply to the brain and it also stimulates one’s mental activity. It is also said to represent success, happiness, and creativity. So, if you want to get noticed without having a colour that is too loud, then you should go for this colour. It is often used in business to push for action such as impulse buying. Watch out for the next part of this blog in the upcoming weeks! If you are in search for the best uniforms for employees, give us a call today! This entry was posted in Uniforms and tagged brand, colours, uniform colors, uniform colour, uniform ideas, uniform tips, uniforms. Bookmark the permalink. ← Custom Logo-Branded Uniforms: Why are They Important?